This is the preparation page for the Wiki Meet in Antwerp. 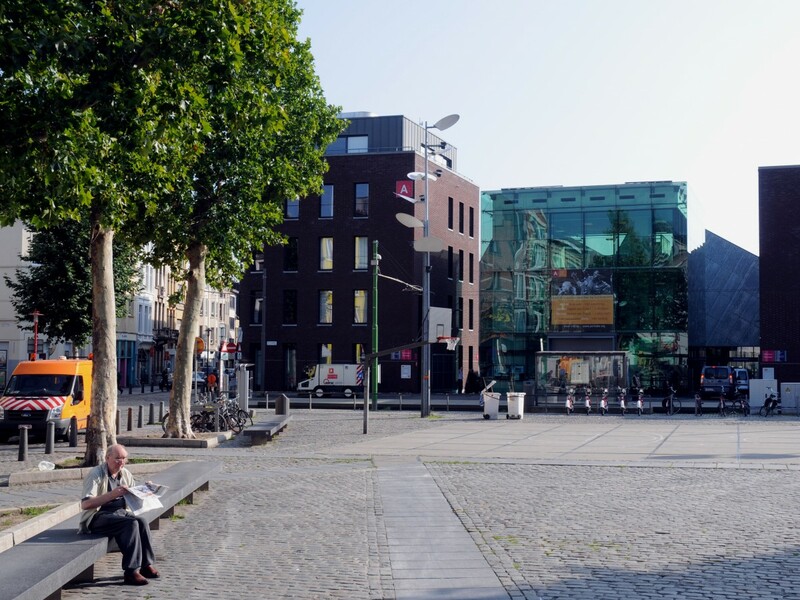 Meet from 13:00 at the KUBUS Permeke Library De Coninckplein, Antwerp (a 5 minute walk from the Central Station). 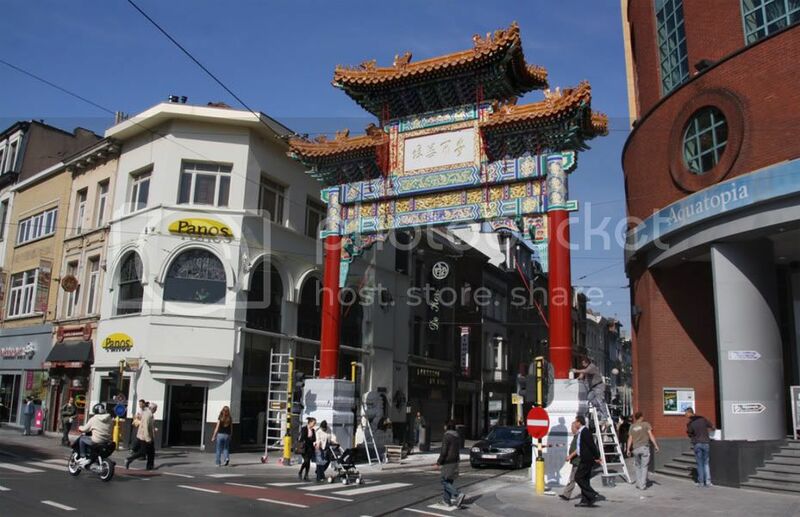 Route from train: leave the Central Station via the main exit in the direction of Astrid square, continue on the left of the square towards the Chinese gate, cross under the gate van continue in Van Wesenbeek street until you get to the De Coninck square; the library is on the right at 2 o'clock. The meeting is open for members. Budget WM BE 2015 S2 was not granted by the Foundation. How to proceed? Current financial status? Importance of the reporting to the Foundation. Taking pictures, upload on Commons and writing short reports on Activities. Distribute English only version? With a small WMBE sticker label? Already more than one year of existence for the Wikimedia Belgium Chapter. Time to think about General Assembly and election is coming. As stated in the previous meeting, I think we should announce time and venue with good advance; possibly to combine with a presentation and updatings of WLArt and Education? General Assembly on Saturday 23 January 2016. It was felt that Saturday is better than Sunday. Maarten will initiate the process, search a venue, and search for a candidate co-organiser. Election of Board members for 2 year; president for 1 year. Any (new) Candidates? The current Board members were voted last year, so they can serve another year. Voted and accepted by all 5 present board members. There was a proposal to use Google for nonprofit collaborative facilities. We actually started to use Google for Non-profit for Board coordination purposes. Thanks to the efforts of Derek. Very nice idea, very practical. Seamless collaboration for mainly: Gmail, Shared calendar, Shared documents amongst all Board and Project leaders. Check if new e-mail accounts work. Configure IMAP access. Send @board to verify if all board members are reachable. info@wikimedia.be remains linked with OTRS (handled by Romaine). We should recruit more associate members: Maarten proposed that any of the board members to send an e-mail to 5 friends to propose membership of WMBE. Membership is free for all active volunteers and editors. The number of active editors is going down on almost all language Wikipedia sites, especially the older ones like EN/NL/etc. We need more Flemish contributors and moderators in WP NL. We need more involvement of Wikipedians in the different projects. We should make a distinction between volunteers (doing community projects) and editors (contributing to the content of Wikimedia projects). We need more Associate members and Effective members in our association. Organise training sessions about contributing to Wikipedia, MediaWiki and other Wikimedia projects. We should make the general public aware how Wikipedia articles are created, and recruit new members. We should more relay via Twitter, Facebook, LinkedIn, etc. Target communities: Vorming+, UGent, KULeuven, other high schools, secondary schools, adult education, libraries, musea, institutions. Wiki Saturdays: nice idea; we need to organise regular sessions. This is another opportunity to recruit new members. Press relations: We should build a Press relations management. OKFN meeting 15 December 2015. It is proposed that Wikimedia Belgium will become member in order to better collaborate amongst other open data organisations like the Flemish Government, OpenStreetMap Belgium, Open Data, Museums, institutions. We should have more symbiosis with related organisations in Belgium. Geert and Maarten will be present. Maarten to transmit a new updated grant request. Secured postoffice mail; did we receive secured mail, yet? Postoffice proxy document to be registered at the local post office of Elsene (Dimi, Maarten?) using the statutes. Another set of office Keys have been given to Maarten by Dimi. This will simplify access to the office for Board meetings, and administration. Limit conference and printing costs. Travel grant requests should be kept separate from Project grant requests. Underspending, and respective overspending amongst different grants; no carry-over possible amongst different grants. Clear financial reporting is required: new project = new grant, instead of carry-over. Better reporting on the content and results of past activities, including photographs. We should measure: What is the Wiki impact versus budget? More visibility on META. Collaboration with neighbouring countries should be ameliorated, and further developed. Organise Wiki Saturdays, partnership with OKFN Belgium. Survey: what do people want -> is there something that we can reuse from the WMNL survey? When organising activities: goals, measurement of success. Erasmusprijs 25 November 2015, Amsterdam, Royal Palace. WCN 2015 28 November 2015. Nice keynote by Marietje Schaake about new (European) Copyright insights. Jimmy requested WMBE to be an intermediary party/contact to organise the event. More feedback from the organisation committee is expected from WMF & JW. An occasion for our chapter to get more involved in WMF affairs? What should be the concrete involvement of WMBE in this process? Who takes the lead? This page was last edited on 9 May 2016, at 18:07.